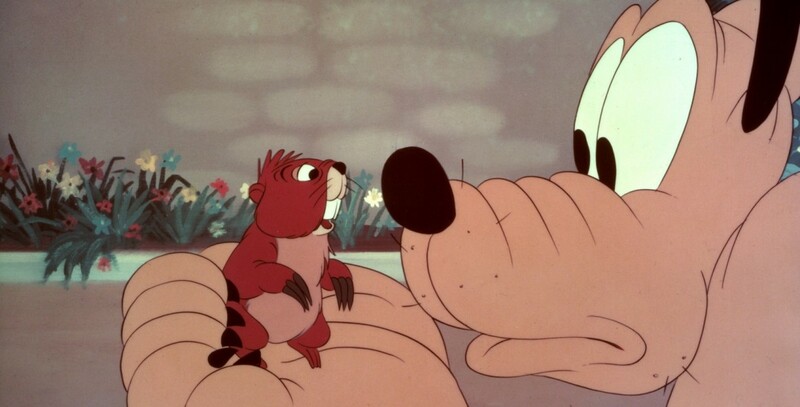 Pluto and the Gopher (film) Pluto cartoon; released on February 10, 1950. Directed by Charles Nichols. Pluto digs up Minnie’s garden and destroys her house in order to catch a pesky gopher—in spite of Minnie’s scoldings.